Resolving outstanding issues in an amicable fashion is one the largest challenges faced by divorcing couples. Traditional litigation is time consuming, expensive and offers little flexibility in the outcome. Another, less contentious option is mediation, a process that gives spouses more autonomy and space to find solutions that work well for their situation. Mediation is available privately or publicly, with the public mediation option run through the courts at a lower cost for couples with limited income. For mediation to work effectively, the couple must be able to compromise, which may be difficult on issues that are important to both sides. One concern couples may have as they enter the mediation process is how to avoid or, at the very least, work through an extended mediation process that can test the resolve and emotional capacity of everyone involved. Preparation at the outset, which an experienced divorce attorney will provide, is often the key to negotiating a reasonable settlement within an acceptable timeframe. A discussion of the how to approach divorce mediation to get the most out of the process will follow below. A lot of groundwork and planning needs to occur, in conjunction with an experienced divorce attorney, before stepping into a mediation session. The process begins with each spouse figuring out what they hope to gain, as well as articulating their needs, goals and preferences. In other words, which issues are the most important, where is there room for compromise, and how realistic are one’s goals under the circumstances. This information will provide a roadmap on how to approach negotiating the five major issues that frequently appear in divorce: child custody (parental responsibilities and time-sharing), child support, alimony, property division and contribution towards attorney fees. Further, it is equally important to identify issues that may hinder the process, such as a power or information imbalance between the parties or the potential the other side will not fully cooperate. Sometimes these issues can be overcome, but an attorney must know about them in advance to effectively neutralize their impact. The final step before formally scheduling mediation sessions is to provide and receive a full financial disclosure, which can take weeks to months depending upon the variety and complexity of the assets and liabilities each spouse has. However, without this information, any settlement runs the risk of being based on incomplete or inaccurate data, and could result in an unfair agreement. 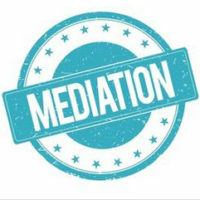 Finally, the last piece in prepping for mediation is to discuss with one’s attorney various settlement possibilities, and what the viable alternatives are if mediation is unsuccessful. Once the mediation process starts, which can take place over one or several sessions, the parties are almost assured to encounter points of contention. A mediator, acting as a neutral third-party, can help to negotiate beyond this impasse, but cannot make the final decision. Thus, parties must be willing to exercise patience as negotiations and offers are filtered through the attorneys and mediators. Additionally, it is important to recognize that a deal may not be possible on a particular day, but could be made at another time once each party has had time to think about the situation. Knowing when to walk away, whether as a temporary hold or a permanent decision to reject mediation, is a point parties need to have in their minds at the outset. This will prevent unnecessary frustration and emotional turmoil that is likely to damage future interactions. Divorce inherently involves challenges and difficulties as spouses move to separate their lives, but using the mediation process can greatly diffuse unnecessary emotion, and bring a more satisfying outcome. The attorneys at the Donna Hung Law Group are skilled at helping divorcing clients in the Orlando area navigate the mediation process, and available to advise you on all your options for ending your marriage. Contact us at (407) 999-0099 to schedule a confidential consultation.